Dead Woman Pickney chronicles life stories of growing up in Jamaica from 1943 to 1965 and contains both personal experience and history, told with stridency and humour. The author's coming of age parallels the political stages of Jamaica's moving from the richest Crown colony of Great Britain to an independent nation within the British Commonwealth of Nations. Taking up the haunting memories of childhood, along with her astonishment at persistent racial marginalization, both locally and globally, the author sets out to construct a narrative that at once explains her own origins in the former slave society of Jamaica and traces the outsider status of Africa and its peoples. The author's quest to understand the absence of her mother and her mother's people from her life is at the heart of this narrative. 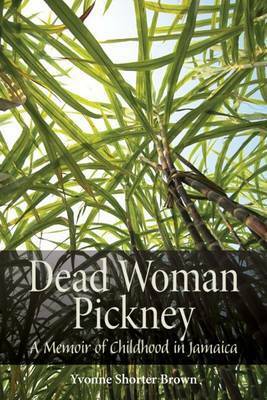 The title, Dead Woman Pickney , is in Jamaican patois, and its meaning unfolds throughout the narrative. It begins with the author's childhood question of what a mother is, followed by the realization of the vulnerability of a child without its mother's protection. The term "pickney" was the name for slave children on sugar plantations, and post-emancipation the term was retained for the descendants of enslaved Africans and the children of black women fathered by slavers. The author struggles through her life to discover the identity of her mother in the face of silence from her father's brutal family. A wonderful resource for teachers of history, social studies, cultural studies, and literature, this work could be used as a starting point to discuss issues of diasporic identities, colonialism, racism, impact of slavery, and Western imperialism around the world. It is also an engaging read for those interested in memoir and life writing. Yvonne Shorter Brown is a retired public school teacher, university lecturer, researcher, writer, and social justice advocate. Her most recent publication is an essay in the Journal of Black Studies (January 2008).